iSolar 800 63684540 https://www.kaercher.com/my/accessory/iSolar-800-63684540.html iSolar 800 water-driven brush head, 800 mm wide, for water flow rates of 700-1,000 l/h. With two contra-rotating disc brushes and flexible angle joint. For photovoltaic systems. iSolar 800 water-driven brush head, 800 mm wide, for water flow rates of 700-1,000 l/h. With two contra-rotating disc brushes and flexible angle joint. For photovoltaic systems. Sunny prospects! The iSolar 800 water-driven brush head with a working width of 800 mm is suitable for high-pressure cleaners with a water flow rate of 700 to 1,000 l/h. 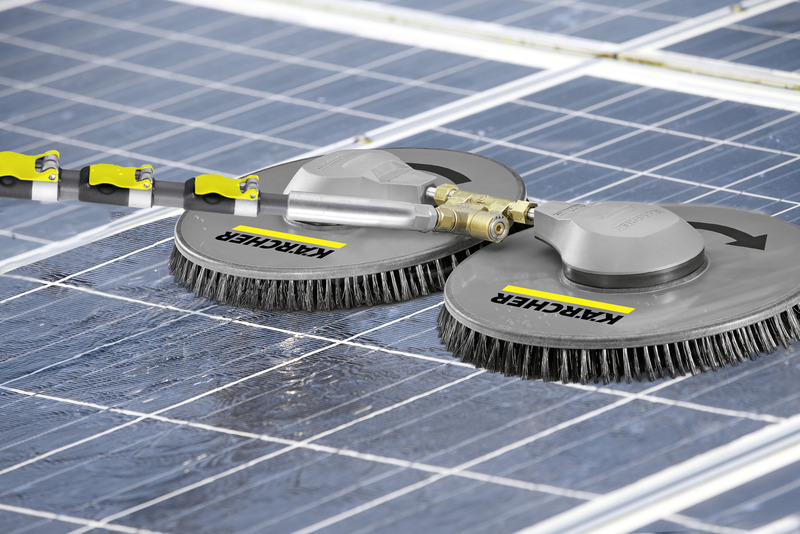 The iSolar 800 features two contra-rotating disc brushes and is used to clean photovoltaic systems. 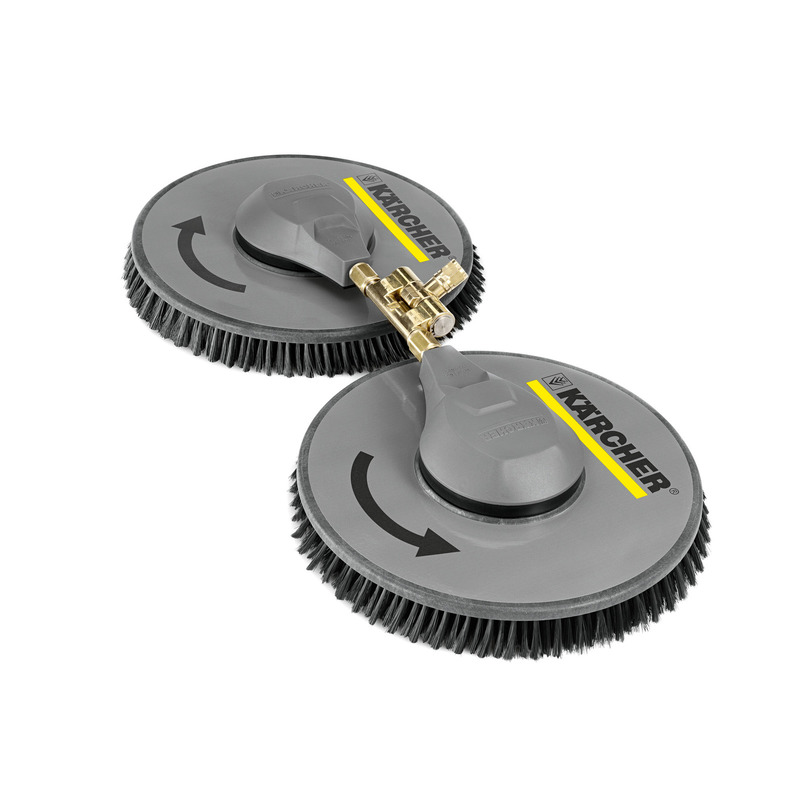 The contra-rotating brushes balance out any transverse forces, ensuring optimal handling. And the flexible angle joint on the brush head's connection makes work easier. It ensures that the bristles lie flat, enabling consistently uniform cleaning results. The brush head is designed for especially high area performance - ideal for cleaning large systems, for example on rooftops.